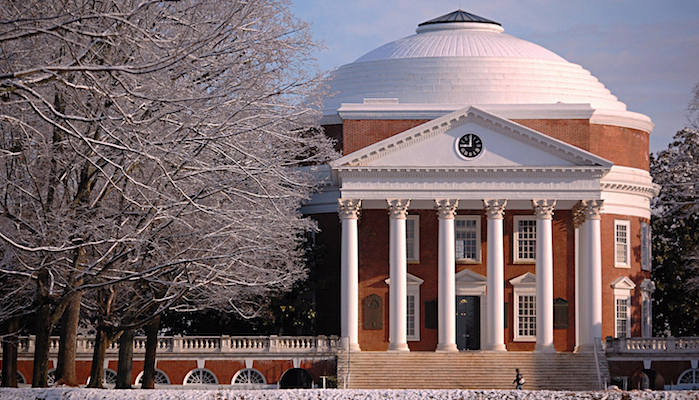 The University of Virginia is the heart of Charlottesville, and the Jeffersonian architecture of its beautiful grounds makes for a wonderful run of any length. As a general rule, most streets around campus are runnable, with level and well kept sidewalks. However, you won’t want to miss highlights like The Rotunda, The Lawn, Greek Row, the UVA Chapel, the Beta Bridge, and the Madison “Mad” Bowl. Top streets include Rugby Road, University Way, Aldeman Road, Whitehead Road, and Engineers Way. Ragged Mountain Running Shop, Visit Charlottesville, and Charlottesville Track Club have mapped runs of 3, 4, 4.75, 6, 6.5, and 7 miles using the campus. Most are longer and shorter variations of the UVA campus run, some dipping into parts of downtown. Explore their maps for inspiration!